Harry Winston always admired women. In an effort to win the hearts of beautiful women, he created jewelry for their decoration of the most unique gemstones. The company Harry Winston still draws inspiration from this love and creates its watch collections as it would have made its founder, who, like anyone else, knows how to understand and implement the most cherished dreams of women. The exquisite design of the Premier Chronograph 40mm watch brightly reflects the jewel skill and daring creativity of Harry Winston. This feminine model is part of the first watch collection, presented in 1989. The new version of the wizard Harry Winston gave free rein to their imagination, while retaining all the aesthetic codes of the legendary collection. Thanks to their talent came to light a truly magic watches. So, to create a more elegant appearance, the case of rose gold was reduced in volume, but, despite this, the watch spectacular look on the hand due to its diameter of 40 mm. Moreover, the strap lugs resembling famous arch on the facade of the historic Harry Winston Salon on Fifth Avenue in New York, were attached to a smooth and sleek shape. Whether it is a luxury of the highest quality diamonds, elegantly mounted on the dial, or in crown, shaped like a gem exquisite cut – all talk about the glorious jewelry heritage of Harry Winston in this watch. The striking face of the brown Tahitian pearl is mesmerizing with smoky tints, ranging from warm brown to nobly gray tones. Tags with diamonds and applied elements, decorative trim and asymmetric arrangement of the various counters give it a special internal rhythm. The chronograph is driven by a quartz movement, equipped with the 12-hour and 30-minute counters and the small second`s hand at the 6 o`clock position. The lacquered alligator strap is the perfect final touch of design harmony. This watch is like a dream, that it will surely come, because it is warmed by the love of Harry Winston to women, which has been and continues to be our main source of inspiration. Collection: Harry Winston The Premier CollectionTM. The straps are made of crocodile skin - origin: Mississippi alligator. The company Harry Winston reserves the right to modify the model and specifications. 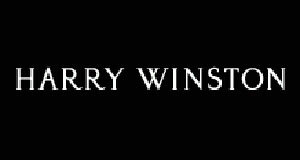 Official site of Harry Winston.